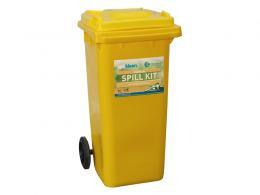 What is the purpose of the 120 litre chemical spill kit? The 120 litre chemical spill kit from The Workplace Depot is a good choice for rapid responses to chemical leaks and spills. 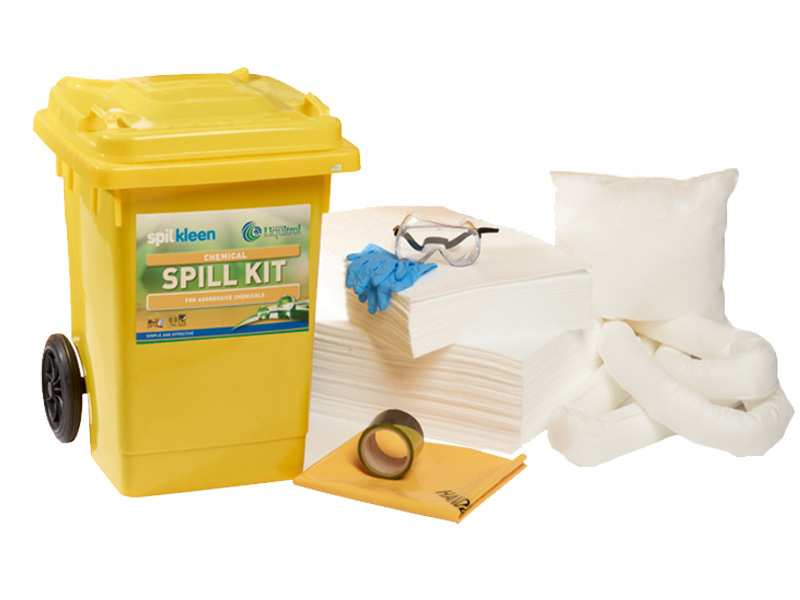 The spill kits have been designed for single use application, so this is a cost effective solution if you require a few in your workplace. This chemical kit is ideal for a wide range of areas where a chemical spill is a possibility and is designed to absorb a range of spills, including acid, oil, caustic spills, emulsions, agricultural chemical spills and fuels. Where can a 120 litre chemical spill kit be used? 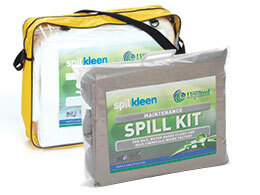 Chemical spill kits are ideal to keep on hand in areas such as hazmat delivery points, chemical storage facilities, chemical and hazmat collection points. Close to high risk areas such as canals and rivers. Due to its portability and size, this is the perfect 120 litre chemical spill kit for internal use anywhere where liquids are delivered, received and stored. 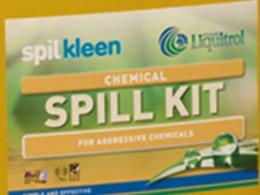 Who might use a 120 litre chemical spill kit? Anyone dealing with chemicals and in areas where spillages are a likelihood. Order the chemical spill kit from The Workplace Depot and receive free deliver in 5 – 7 working days as well as a one-year parts and labour warranty. The kit has been designed to absorb aggressive fluids such as alkalis and acids and is packed in a 2-wheeled wheelie bin. The kit comprises cushions, absorbent socks, disposal bags and ties, goggles, gloves and barrier tape. The kit is perfect for use in factories, warehouses and workshops. The Workplace Depot offers a Price Promise to match any price and we accept several forms of payment including most major credit cards and PayPal. Place your order today!